Composites Evolution will display a range of Ecopreg products designed for the mass transport industry at JEC Europe 2015. Ecopreg Glass/PFA is a sustainable, fire-safe prepreg material that provides a greener alternative to conventional phenolic prepregs. Their key innovation is the use of a 100% bio-based polyfurfuryl alcohol (PFA) resin system. PFA resins have similar mechanical and fire properties to phenolics, but are water-based and are 100%-derived from waste agricultural biomass and therefore doesn’t have the associated health risks of formaldehyde (which is a toxin and known human carcinogen) and VOC emissions. 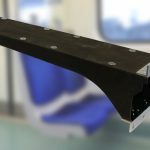 Prototypes have been manufactured, including an aircraft locker door, industrial enclosure and train cable tray, which highlight the benefits of the material in each application. Whilst offering a combination of light weight, high mechanical properties and low environmental impact, the prepreg also offers excellent fire retardant properties, which is critical in each of the above applications. 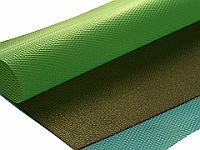 Composites Evolution currently offers Ecopreg with two particular grades of glass: a 300g/m2 7781 style woven glass fabric with 40% resin content that is typically used for aircraft interiors, including sandwich panels, and an 840g/m2 8 harness satin woven glass fabric with 40% resin content that is typically used for rail, offshore and industrial applications. Composites Evolution will display the prepreg and products in Hall 7.3, stand G70.